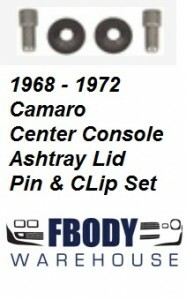 This is a pair of new replacement center console ashtray pins and clips for 1968 - 1972 Camaro models. Attaches ash tray lid to console. Set of two pins and two retainers. 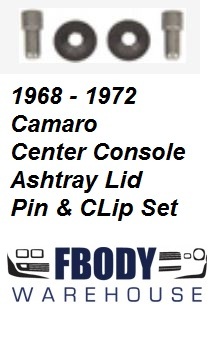 Fits 1968 1969 1970 1971 1972 Camaro models.